Manchester is the fastest growing economy in the UK outside London and as such, attracts some of the world's most successful companies. It makes a great place to base your business. 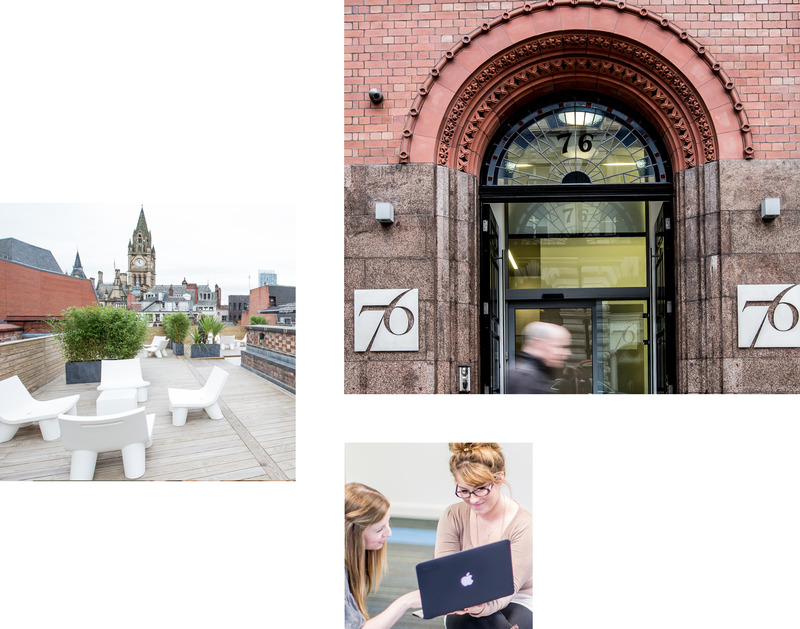 Our Manchester serviced office spaces have been chosen to take full advantage of transport links and nearby amenities so your team can get the most of their work week. They have great connections locally, nationally and internationally with nearby train stations and bus stops. Each centre features tailored facilities and services like spacious breakout areas, roof terraces, managed receptions, complimentary refreshments and WiFi that are all maintained by our exceptional customer service team. You can make the space your own by putting up custom wall graphics and personalising the type of support you and your team need including dry-cleaning, taxi arrangements and how you want your phone answered.